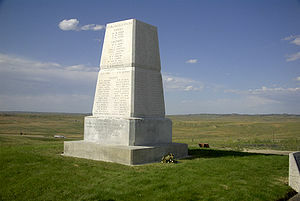 ↑ Battle of the Little Bighorn Timeline, http://www.seedwiki.com/wiki/lbha/timeline?wikiPageId=576395 based on time tables developed Gray, John S. Custer’s Last Campaign. Маркис, Томас Б. Деревянная Нога — воин, сражавшийся с Кастером. — «Первые Американцы», 2004. — 320 с.
Джон Стоит в Лесу, Либерти М. Воспоминания шайена. — «Первые Американцы», 2004. — 400 с.
Гриннелл Дж. Сражающиеся шайены. — ЗелОбыватель, 1994. — 222 с.
Barnard, Sandy, Digging into Custer’s Last Stand. Huntington Beach, California: Ventana Graphics, 1998. ISBN 0-9618087-5-6. Fox, Richard Allan, Jr., Archaeology, History, and Custer’s Last Battle. Norman, Oklahoma: University of Oklahoma Press, 1993. ISBN 0-8061-2496-2. Goodrich, Thomas. Scalp Dance: Indian Warfare on the High Plains, 1865—1879. Mechanicsburg, PA: Stackpole Books, 1997. ISBN 0-8117-1523-X. Michno, Gregory F., Lakota Noon, the Indian narrative of Custer’s defeat, Mountain Press, 1997. ISBN 0-87842-349-4. Miller, David, H., Custer’s Fall: The Native American Side of the Story, University of Nebraska Press, 1985. ISBN 0-452-01095-0. 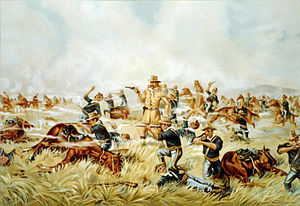 Sarf, Wayne Michael, The Little Bighorn Campaign: March-September 1876, Conshohocken, Pennsylvania: Combined Books, 1993. ISBN 1-58097-025-7. Scott, Douglas D. & Connor, Melissa: Context Delicti: Archaeological Context in Forensic Work. In: Haglund, W.D. & Sorg, M.H. (eds. )։ Forensic Taphonomy: The Postmortem Fate of Human Remains, CRC Press, pp. : 27-38; Boca Raton, 1997. Viola, Herman J., Little Bighorn Remembered: The Untold Indian Story of Custer’s Last Stand. Westminster, Maryland: Times Books, 1999, ISBN 0-8129-3256-0.